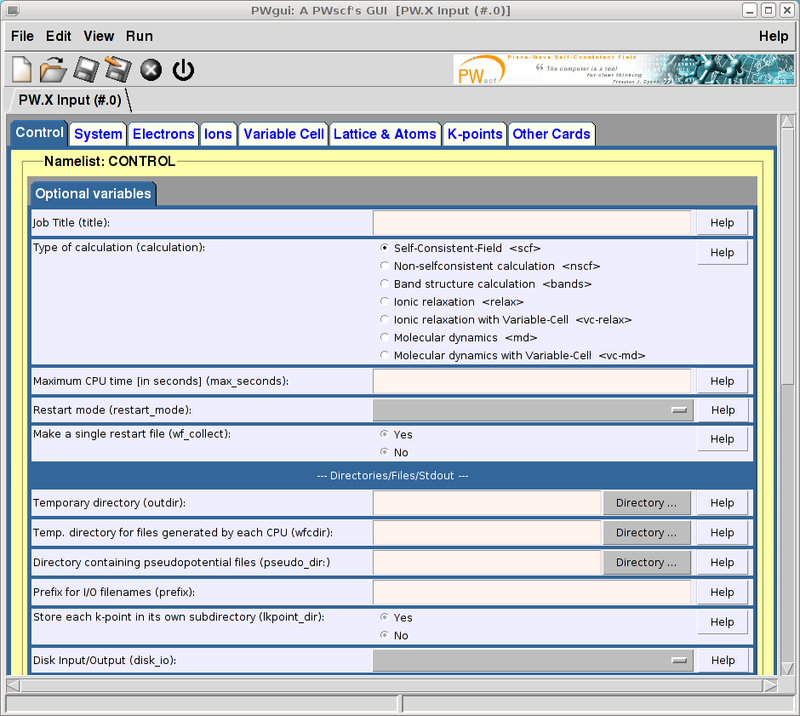 PWgui is a GUI for PWscf based programs from Quantum-ESPRESSO integrated suite of codes for electronic structure calculations and materials modeling at the nanoscale. The following PWscf modules are supported by the GUI: pw.x, neb.x, ph.x, pp.x, projwfc.x, bands.x, dos.x, d3.x, and ld1.x. This means PWgui is able to either "create" new or "edit" existing input files for these modules. 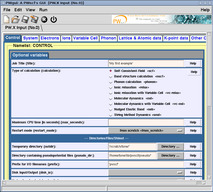 In addition, it is possible to run the PWscf programs by using the PWgui. PWgui can also use the XCrySDen program (http://www.xcrysden.org/) for the visualization of atomic structures from the pw.x input/output files, or for the visualization of properties calculated via the sequence: pw.x --> pp.x (when the property was saved into an XSF file). PWgui is a GUI application that uses the Guib engine!! !